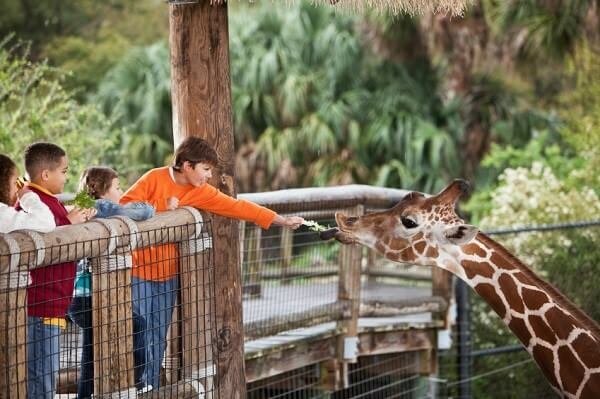 Jungle Junction is a popular, high-quality zoo that offers the viewing of and interaction with animals that are native to the jungle. In 2008, Jungle Junction noticed an increase in the number of deaths in its gorilla population. After further research, Jungle Junction discovered that the majority of deaths were caused by infectious diseases. After establishing that infectious diseases were a major cause of mortality in captive gorillas, Jungle Junction began an R&D project aimed at controlling and preventing the situation. The company’s main business objective was to create a medical device that could detect disease in gorillas in its early stages which would lead to improvements in diagnosis and management of disease in gorilla populations. To achieve its technical objectives and overcome the related technical risks, Jungle Junction generated new knowledge at the conclusion of each experimental stage and built upon this knowledge at every stage of the project. After self-assessing, Jungle Junction declared the following experiments as R&D work. Design and development of a series of prototypes to achieve the technical objectives and prove the hypothesis (design and adaptation of the disease detection device). Jungle Junction’s hypothesis for its experiment stated that a disease detection device for gorillas could be designed and developed. After two years of design and experimentation, Jungle Junction concluded that its experiments showed that such designs were feasible but needed to be fully tested to prove the hypothesis. Trials and analysis of data to achieve results that can be reproduced to a satisfactory standard (development and testing of disease detection device). The hypothesis for this R&D activity stated that with improved knowledge of the specific infectious diseases and their carriers, it was possible to identify mechanisms for improving disease detection in gorilla populations. Details of this experiment included development of the device based on information gained through the model and testing of the device to ensure efficiency, accuracy and safety. Background research to evaluate current knowledge gaps and determine feasibility (background research for the design of the disease detection device). The activities conducted in the background research were necessary because they assisted in identifying the key elements of the research project, therefore qualifying as R&D work. Ongoing analysis of customer or user feedback to improve the prototype design (feedback R&D of the disease detection device). These activities qualified as R&D work because they were necessary to evaluate the performance capabilities of the new design in the field and to improve any flaws in the design, therefore qualifying them as R&D work. Qualified R&D projects consists of research for the intent of achieving an advance in overall knowledge. Advances in capabilities in the field of science or technology through the resolution of scientific process or technological uncertainty general qualify as R&D project. The advancement but not simply be in its own state of knowledge or capability. A companies R&D project must relate to the trade of the business whether it be an existing product or process or one intend to start based on R&D outcomes. Activities that are eligible for R&D Relief are defined in the Guidelines by the HMRC, which must be met for the project to qualify as R&D. What records and specific documentation did Jungle Junction Zoo keep? Similar to any tax credit or deduction, Jungle Junction had to save documents that outlined what it did in its R&D activities, including experimental activities and business records to prove that the work took place in a systematic manner. By having these records on file, Jungle Junction confirmed that it was “compliance ready” — meaning if it was audited by the HMRC, it could present documentation to show the progression of its R&D work, ultimately proving its R&D eligibility.